Since the Christmas Tour of lights has been canceled this year, we have another opportunity to earn some money by manning the Santa photo booth, greeting the people and taking a photo if asked. 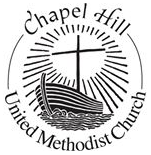 There will be a sign with the Chapel Hill name and a suggestion of $5:00 donations (all of which will be given to Chapel Hill). The time will be from 3:30-8:30 on December 15. Please let Margaret Young know if you can help. YOU ARE NEEDED.